The Defender 850 trail camera, model BTC-9D, can be used in conjunction with your Apple or Android based smartphone or tablet via the Browning Defender App. The Defender App allows you to control the trail camera remotely via WiFi connectivity to view and download photos and videos, change camera settings, remotely capture images and see a live preview of the cameras field of view. The effective distance that you can control your camera via the Defender App is approximately 60 yards. This can vary slightly due to objects between yourself and the camera as well as the strength of the WiFi in your tablet or smartphone. The basic hardware requirement will be devices with WiFi and BLE 4.0+ support. Below we have listed some of the most common devices. The Browning Defender App is available on Google Play for Android devices and The App Store for Apple devices. 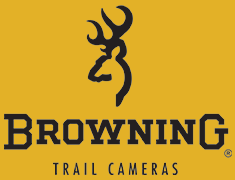 To find the app, simply search for "Browning Trail Cameras". The app is a free download.